Poker pro Phil Ivey has found himself embroiled in another casino cheating scandal after the Borgata Hotel Casino & Spa in Atlantic City accused him of scamming them out of $9.6m. In court filings viewed by the New Jersey Law Journal, the Borgata accused Ivey of ‘edge sorting’ – using minute flaws in the card manufacturing process to identify the face value of cards from variations in the design printed on the cards’ backs – during four sessions at the Borgata’s baccarat tables between April and October 2012. Missouri-based card manufacturer Gemaco Inc. is also named in the suit, which features charges of breach of contract, fraud, conversion, unjust enrichment, civil conspiracy and racketeering. This isn’t the first time Ivey’s baccarat play has gotten him in legal difficulties. In May 2013, London’s historic Crockfords casino accused Ivey of employing similar tactics to take the casino for £7.3m in August 2012. 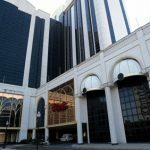 The Genting-owned Crockfords went public with its allegations after Ivey sued Crockfords for refusing to pay him his ‘winnings.’ In September, Ivey admitted to ‘edge sorting’ at Crockfords but denied that he’d done anything wrong, arguing that it was the casino’s responsibility to eliminate the flawed decks of cards from circulation. 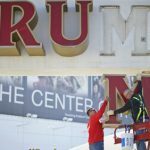 Given the timing of both incidents, any casino at which Ivey played baccarat is likely reviewing its 2012-era security footage post-haste. As with the Crockfords situation, Ivey’s winning ways at the Borgata were allegedly aided by a female companion of Asian descent. The Borgata’s lawsuit accuses Cheng Yin Sun of complicity for allegedly giving instructions to the Borgata dealer that allowed Ivey to work his magic. In the Crockfords case, an American woman identified as ‘Kelly’ was cited as having helped Ivey identify a flawed deck of cards, then convincing the dealer to rotate high value cards before reloading them in the shoe so that Ivey would be better able to notice them when they came around again. The Borgata suit claims that Ivey insisted on bringing his own decks of cards because he was superstitious. Ivey also insisted on the use of an automatic card shuffler in order to keep the cards from reorienting themselves before they came around again. As with the Crockfords situation, the Borgata claims that Ivey initially bet under the allowable maximum per hand wager then upped his bets after the task of identifying the valuable cards had been accomplished. The Borgata says Ivey’s last session at its baccarat tables came just as word broke of the Crockfords incident. Borgata officials questioned Ivey regarding Crockfords’ claims of him cheating, and Ivey reportedly denied any wrongdoing. 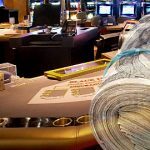 The Borgata claims Ivey, who was up as much as $3.5m during that two-day stint at the tables in October, then proceeded to intentionally lose around $2.75m of that stack in a bid to alleviate the Borgata’s suspicions. 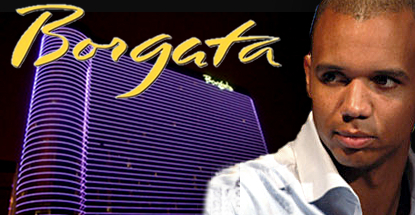 The Borgata has had a particularly bad run with scammers in 2014. 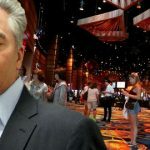 This week saw the casino announce the introduction of new high-tech casino chips to reduce the possibility of another ‘chipgate’ scandal like the one that caused the cancellation of Event #1 at the World Poker Tour’s Borgata Winter Open in January. 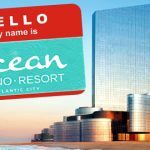 The Borgata is far from the only casino being victimized in this way, however. This week saw felony theft and conspiracy charges laid against a man and woman from Northern Virginia suspected of passing bogus $100 chips at the Maryland Live! casino in November.